The 'li' is a uniquely Chinese cooling vessel which when filled with water and covered with a perforated vessel, was used for steaming. 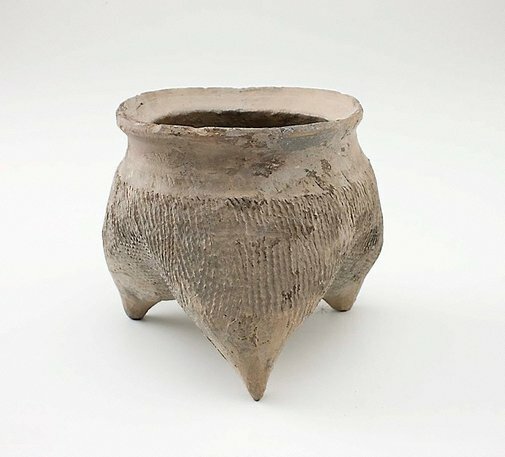 The simple surface decoration is characteristic of such wares: the deep cord-like markings on the body are the imprints left by the cord-lined moulds in which the piece was shaped. 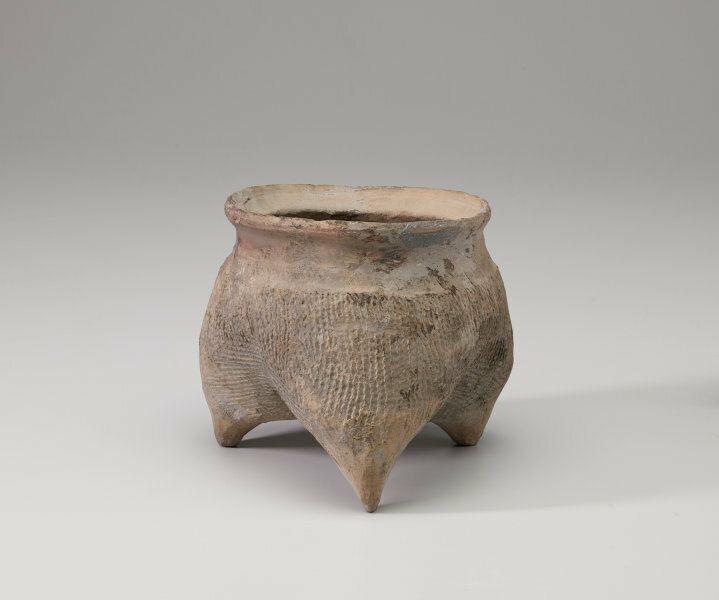 The vessel shape is made of three mammary lobes standing on pointed feet. Willets, W., 'Foundations of Chinese Art' London, Thames and Hudson, 1965. pg.38, fig. 13. Valenstein, S., 'A Handbook of Chinese Ceramics' New York, The Metropolitan Museum of Art, 1975, collection plate no. 3 (pg.14). Pang, M.A., 'An album of Chinese Art' Melbourne, National Gallery of Victoria, 1983, fig. 14. Asian Art Dept., AGNSW, 21 September 1983. The Asian Collections Art Gallery of New South Wales , 'Early Ceramics', Sydney, 2003, 101 (colour illus. ).